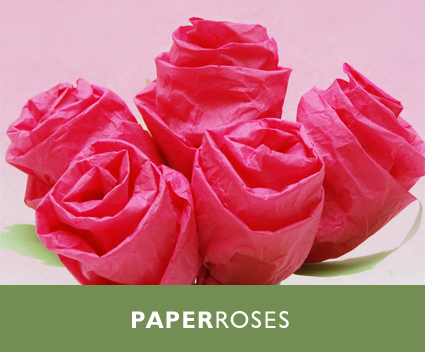 These paper tissue flowers are a nice change from using artificial flowers from the craft store. 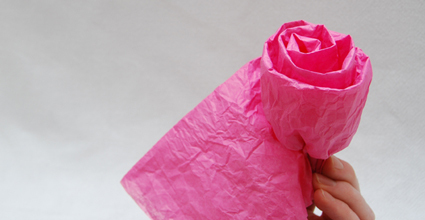 They can be bundled into bouquets as shown above, or used to dress up a gift instead of using a bow. They are very simple to make and only take a few minutes a piece. Here’s how. 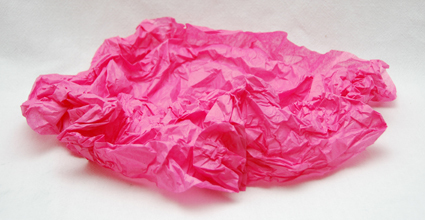 Start by rumpling up one full sheet of tissues paper. 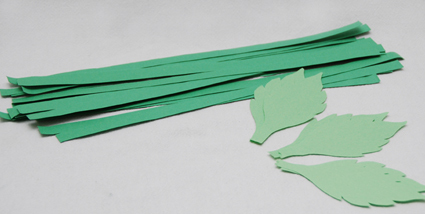 Cut the paper lengthwise and fold each piece in half. With the folded edge on the top, grab the bottom and begin to bunch the tissue paper as you roll it up like a cinnamon roll. 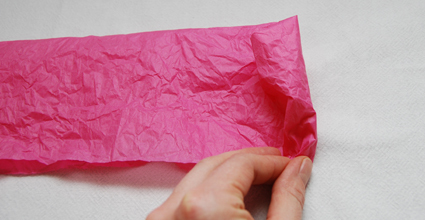 As you continue to bunch and roll, adjust the height of the paper so it gradually gets lower as you move to the outside of the flower. 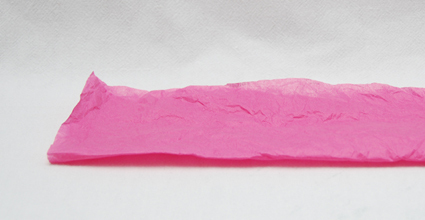 When you flower is completed, insert a wood dowel in the bottom. A little tape holds it in place nicely. (You may have to unwind the flower a bit, but this is easier than trying to create the flower with the dowel in your hands.) The next steps are for finishing the stem. I used regular old construction paper, but you can get as creative as you like. 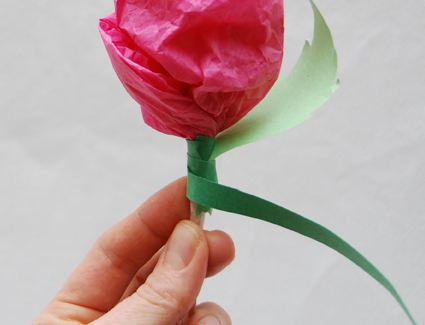 The stem of the flower can be wrapped in florist tape or strips of green construction paper lined with a glue stick.